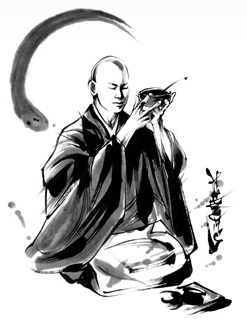 Information on How to do Zazen, the manners you should use in a Zendo, Eating with Oryoki, the Sutras, and the Fukan zazengi. Buddhism is a religion based on the teachings of the Buddha. For this reason, the words expounded by Shakyamuni Buddha have absolute authority and the sutras are collections of his sermons. "sutra" is a Sanskrit word that referred in Brahmanism to those holy scriptures. 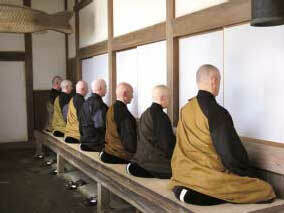 Instructions on how to use an Oryoki, cooking in Buddhism, videos and recipees. The teachings of Shakyamuni Buddha, Dogen Zenji and Keizan Zenji are learned through singing eisanka (Japanese Buddhist hymns) and practiced in accordance with vows. Soto zen Buddhism event calendar with information on yearly events that take place in spring, summer, Autumn, and winter. To express our gratitude to our family ancestors, we have various things such as: visiting our family's temples and graves, placing a family Buddha altar, and conducting memorial services.